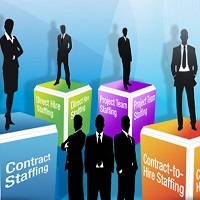 Based in Kolkata (West Bengal, India), Yes Tech Solutions Inc. is actively involved in providing contract-staffing services. Our specialization lies in providing contract staffing for finance, engineering, pharmaceuticals, event management, sales & marketing, FMCG telecom/ technology/ ISP, manufacturing / operations and others. With our services, we provide an addition helping hand to your organization, whether through long term or short-term hiring. At Yes Tech Solutions Inc., we first analyze your project requirements, and then provide candidates who have the right skills fitting to your needs, for consistent growth. Apart from this, we also mange payroll and other details of candidates.